Owing to inadequate record-keeping, the exact number of children separated from families is still unknown. The administration of President Donald Trump implemented a “zero tolerance” policy to criminally prosecute and jail all undocumented border crossers, even those travelling with their children, leading to a wave of separations last year. The practice sparked outrage when it became public, and the backlash led Trump to sign an executive order reversing course on June 20. Before dropping the policy, the Trump administration defended the practice. “It was a simple decision by the administration to have a zero tolerance policy for illegal entry, period,” White House senior policy adviser Stephen Miller said at the time. But separations have continued since then, the report said. 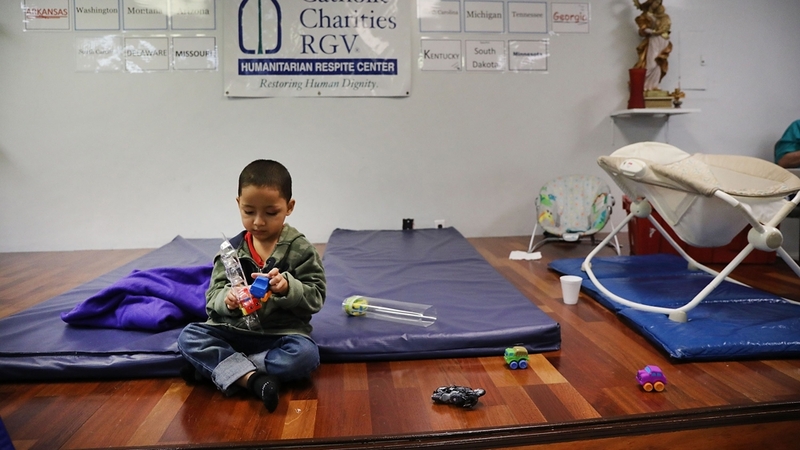 HHS, which runs the Office of Refugee Resettlement (ORR) that is responsible for the children’s care, told the auditor that at least 118 had been separated between July 1 and November 7, 2018. The US Department of Homeland Security (DHS) said that 65 of those 118 children were separated because the parents had a criminal history but in some cases, the agency did not provide details of that history. DHS did not immediately respond to a request for comment on the report’s findings. The auditor’s revelations come a day after a Pew Research Center analysis of government data found that the number of people apprehended by US border authorities in 2018 was three times higher than the year before that. Since coming to office, Trump has sought to limit the number of undocumented immigrants entering the country and tightened restrictions on immigration. He has deployed thousands of troops to the southern border, where he falsely claimed US-bound caravans constitute an “invasion” of the country. On Thursday, the government entered its 27th day of a partial shutdown, the longest of its type in US history. Last month, Trump allowed the shutdown to go into effect owing to Democrats’ refusal to approve more than $5bn in funds for a wall on the US-Mexico border. The wall was one of Trump’s main campaign promises during the 2016 presidential elections.